Protect your most valuable asset by using a well established company that has developed the finest methods for roof cleaning using the best equipment and materials available today, and the best trained personnel in the industry. 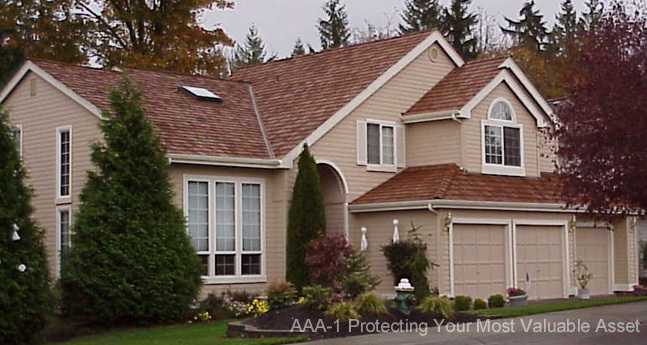 Specializing in cleaning and full restoration of cedar shake, composition, and all other types of roofing materials, AAA-1 is the company to use for all Re-roofing, maintenance, and repairs of your roof no matter the roofing material. Many years of process and technique development combined with proper employee training can assure you of the best protection for your roof. We clean over a thousand roofs each year with excellent results and happy customers. What Is Included In Our Gentle Roof Cleaning Service?